Discover how to skyrocket your faith and the power of your prayers by embracing your new life as a citizen in God’s Kingdom. Learn the keys to anwered prayer and defeat doubt and unbelief. Register now for your faith-building experience and step into the power that is already yours because of Christ. Proin eget felis lectus. Morbi aliquet sapien at ligula convallis, non placerat tortor commodo. Proin at nunc ac nisi iaculis pharetra. Cras faucibus justo velit, ut pulvinar lorem imperdiet nec. Morbi nec enim in ex consectetur ultricies. Nam a mollis urna. Sed sodales, magna at ullamcorper mattis, leo tellus fermentum ante, eget finibus ante metus vel erat. Proin porttitor diam ac justo vulputate, ac molestie nulla cursus. Nam massa turpis, varius accumsan urna vitae, consequat. Nulla sed laoreet lectus, id molestie nibh. Etiam sed volutpat ex. Aliquam sed enim nibh. Nunc tincidunt aliquet sapien eget ullamcorper. Cras eu sem ut ex eleifend faucibus. Proin est ipsum, maximus sed interdum vel. 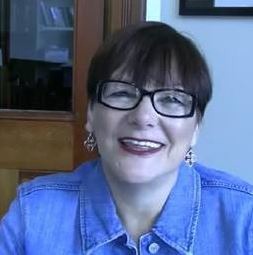 Susan Gregory is the foundar of Faith Driven Life and she’s passionate about helping followers of Christ to step into the full measure of their blessing. One of her goals is to inspire, motivate, and treach thousands of women and men to become “Bright Stars” who will live amazingly successful lives and be glistening lights in the darkening world we live in today. One of her most important teachings is about the Kingdom of God, a new citizenship that when more fully realized can revolutionize the live of believers and transform their prayer life, their fiath, and their witness to the world. Susan is also the author of many books about The Daniel Fast, including The Daniel Fast: feed your soul, strengthen your spirit, and renew your body, which is the bestselling book about this powerfl method of spirital fasting. 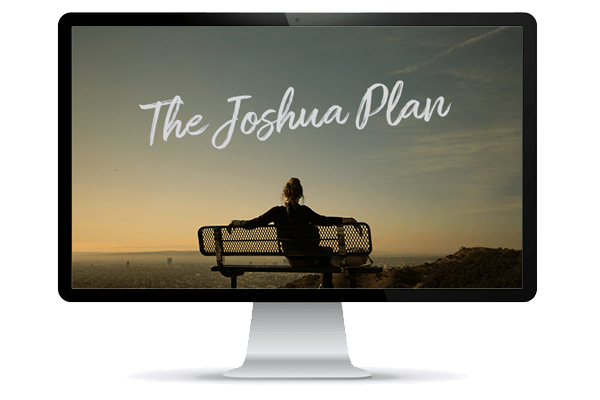 The Joshua Plan Proin eget felis lectus. Morbi aliquet sapien at ligula convallis, non placerat tortor commodo. Proin at nunc ac nisi iaculis pharetra. Cras faucibus justo velit, ut pulvinar lorem imperdiet nec. Morbi nec enim in ex consectetur ultricies. Nam a mollis urna. Sed sodales, magna at ullamcorper mattis, leo tellus fermentum ante, eget finibus ante metus vel erat. Proin porttitor diam ac justo vulputate, ac molestie nulla cursus. Nam massa turpis, varius accumsan urna vitae, consequat. Proin eget felis lectus. Morbi aliquet sapien at ligula convallis, non placerat tortor commodo. Proin at nunc ac nisi iaculis pharetra. Cras faucibus justo velit, ut pulvinar lorem imperdiet nec. Morbi nec enim in ex consectetur ultricies. Nam a mollis urna. Sed sodales, magna at ullamcorper mattis, leo tellus fermentum ante, eget finibus ante metus vel erat. Proin eget felis lectus. Morbi aliquet sapien at ligula convallis, non placerat tortor commodo. Proin at nunc ac nisi iaculis pharetra. Cras faucibus justo velit, ut pulvinar lorem imperdiet nec. Morbi nec enim in ex consectetur ultricies. Nam a mollis urna. Sed sodales, magna at ullamcorper mattis, leo tellus fermentum ante, eget finibus ante metus vel erat. Proin porttitor diam ac justo vulputate, ac molestie nulla cursus. Nam massa turpis, varius accumsan urna vitae, consequat. Queenie H.
Proin eget felis lectus. Morbi aliquet sapien at ligula convallis, non placerat tortor commodo. Proin at nunc ac nisi iaculis pharetra. Cras faucibus justo velit, ut pulvinar lorem imperdiet nec. Morbi nec enim in ex consectetur ultricies. Nam a mollis urna. Sed sodales, magna at ullamcorper mattis, leo tellus fermentum ante, eget finibus ante metus vel erat. Proin porttitor diam ac justo vulputate, ac molestie nulla cursus. Nam massa turpis, varius accumsan urna vitae, consequat. James B.
Proin eget felis lectus. Morbi aliquet sapien at ligula convallis, non placerat tortor commodo. Proin at nunc ac nisi iaculis pharetra. Cras faucibus justo velit, ut pulvinar lorem imperdiet nec. Morbi nec enim in ex consectetur ultricies. Nam a mollis urna. Sed sodales, magna at ullamcorper mattis, leo tellus fermentum ante, eget finibus ante metus vel erat. Proin porttitor diam ac justo vulputate, ac molestie nulla cursus. Nam massa turpis, varius accumsan urna vitae, consequat. Sarah V.